Collaboration is a key part of the University's research activities. As well our interdisciplinary research within the University, we have a global network of partners who are working with us to address today's major challenges. We collaborate with teams from other disciplines within the University and also with other universities from around the world; working together is integral to many of our research projects. We also foster interactions between Chemistry and external businesses to strengthen our teaching. Our Electrochemistry Group has links with a number of universities and companies within the UK as well as from further afield including Germany, Italy, the Netherlands, Austria, Spain and the US. The US project is a collaboration with Stanford Synchrotron Radiation Laboratory, CA on in situ X-ray characterisation of fuel cell electrocatalyts. The Functional Inorganic Materials and Supramolecular Chemistry has long-standing relationships with a range of industrial partners including Astra-Zeneca, Eli Lilley, GE Healthcare, GSK, Honeywell, Ilika, Merck, OSI Prosidion, OUP, EDF, Sasol and SIGNa. These links take several forms, from consultancies, sponsorship of PhD studentships and post-doctoral research, to joint project partnerships. Active research links are also in place with several charitable organisations. Staff in this group frequently with international partners to achieve their research goals, including the Universities of Burgos, Maryland, Moscow, Münster, Prague, Texas (Austin), Windsor (Ontario), Zurich and A* Nanyang Technical University. An EU funded INTERREG project “Innovative Synthesis and Catalysis in Chemistry & Entrepreneurship”, also facilitates regular exchanges of staff and students between Southampton, Caen, East Anglia, LeHavre & Rouen. Many of our current research programmes involve other disciplines, both in Southampton (Physics, Engineering, Optoelectronics, Electronics & Computer Science, Biological Sciences and Medicine) and across other UK universities. We have several collaborations with companies to support our teaching and learning activities. Many organisations help us with financial contributions, including GlaxoSmithKline, Astex, City Technology, Lilly and Evotec OAI, which contribute towards the cost of first year textbooks in a study pack that is part of our sp3 Scholarship Scheme. Organisations also offer prizes for outstanding academic achievement at various points during the course. MSD, Johnson Matthey and Novartis have all been active in this area. Significant bursaries are awarded by AstraZeneca and GlaxoSmithKline. Several organisations have collaborated with us in the design of practical and theoretical aspects of our degree. For example, Pfizer and GlaxoSmithKline have delivered workshops in particular areas of chemistry; AstraZeneca has collaborated in the design of advanced practical projects for our third year students and IBM has been involved in developing resources for our chemical informatics courses. 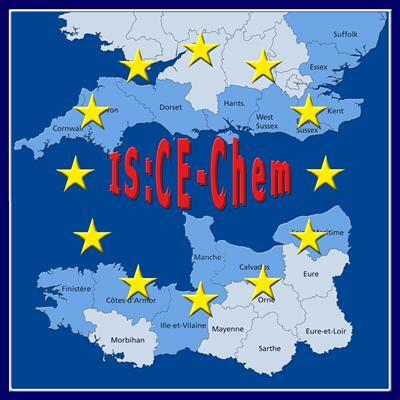 Southampton is also part of the ISCE-Chem project, a collaboration between eight institutions (CNRS, 2 Normand engineering schools and the Universities of Caen, Rouen, le Havre, Southampton and Norwich), which aims to enhance scientific knowledge in the field of molecular chemistry on both sides of the Channel and offering a diploma of Excellence for Master’s degree and PhD.